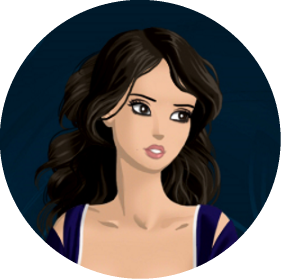 I'm a bibliophile who reads mostly YA, manga, and fanfiction. I keep a journal where I write all the dreams that I remember. My TV is mostly tuned in cooking shows. Dragon Age is the only video game in my laptop. Lyanna Mormont is my idol. Waiting on Wednesday is hosted by Jill over at Breaking the Spine. This meme spotlights upcoming releases that I'm eagerly anticipating. Well, here's something that's different and quirky and fun. Make no mistake. I mean, I've seen hundreds of different takes on Alice in Wonderland but Oz has never been as much adapted as Wonderland. I never liked Wizard of Oz that much so I'll probably skip this one. I hope you'll get it soon and love it. This sounds oddly interesting. I mean, a little... perverse reversion, I'm getting all kinds of horrible ideas about the original story going horribly wrong. If I'm not picking this up myself, I know my boyfriend will, because he LOVES Oz. Thanks a lot for sharing this! Great pick. This sounds interesting. Haha, I heard of this book last week. It looks really good! lovely pick! This one looks awesome! Nice pick. 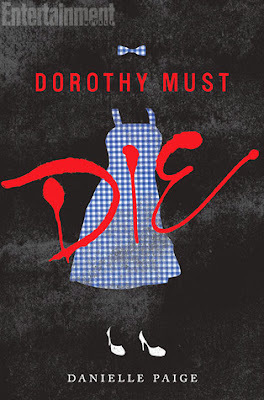 Aww, I absolutely love the cover of Dorothy Must Die! I'm Myrtle aka Ayanami- I currently live at The Cloud Recesses. I'm a Chocoholic. I'm passionate about Books, Travel, History+Mythology. This blog is a place where I want to share all the things I love with you! 3x $10 AMAZON GIFT CARDs | Ends April 25. PRINT COPY of THE HUMMINGBIRD DAGGER| Ends April 25. Copyright 2018, Whatever You Can Still Betray. All rights Reserved. Template by Colorlib.